Unless you arrive early, you’ll probably wait an hour in line, then climb countless narrow, spiral stone stairs before you reach the top of the cathedral, but it’s worth every moment when you get to the top. To say the view is inspiring is a huge understatement. The first time I went up, I stayed over half an hour, taking in the view of the city. From the stone chimera guarding the top of the cathedral (gargoyles are drain spouts; chimera are statutes), to the Seine River bisecting the city into the right and left banks, the Eiffel Tower in the distance and the hundreds of people below, the view from the top of Notre Dame Cathedral ranks as one of my top favorite views in the world. If you want another view of Paris, the one from Sacre Coeur Basilica is even better than from Notre Dame, but if you’re like me, you also find creative inspiration by immersing yourself with other creatives. So head west from the basilica to the Montmartre Market. 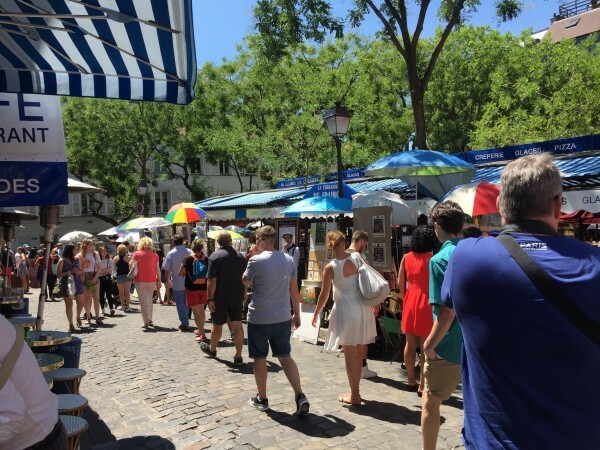 On any given day, you’ll find a wide assortment of artists selling their pieces in the square. Some even create their masterpieces while waiting for customers. If you have time, wander the side streets and find the hundreds-year-old windmills that inspired painters Renoir and van Gogh. 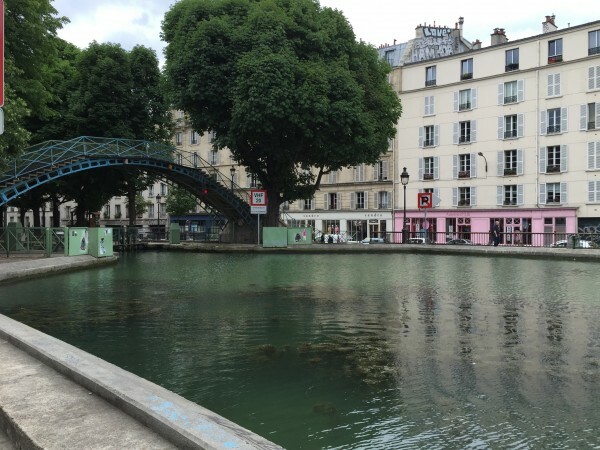 If you’re looking for a non-touristy place to relax in a city of over two million people then the man-made St. Martin’s Canal is the the spot for you. 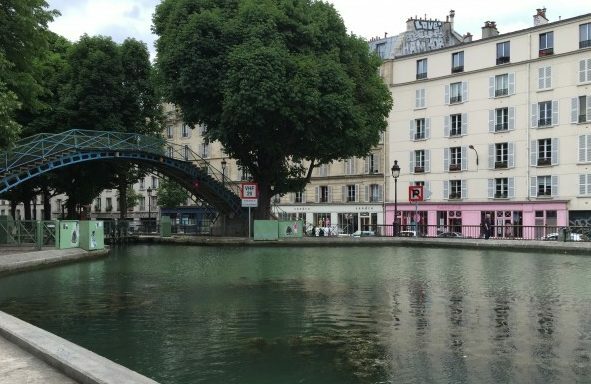 With the picturesque setting and the proximity to many restaurants and bars – and shopping if you stick to the area east of Gare du Nord – you’ll find the perfect place to become inspired. Somehow I missed this fountain on my first two trips, but once I found it, I made sure to see it twice the third time I visited. 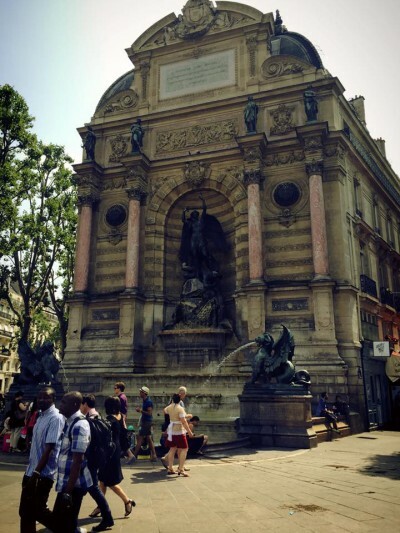 Located in the Latin Quarter, it’s surrounded by tourists, but the stop is worth the crowd. Apparently, the central figure has been changed several times, but it currently features the Archangel Michael defeating the devil, an image that might inspire your inner muse to conquer your own demons. 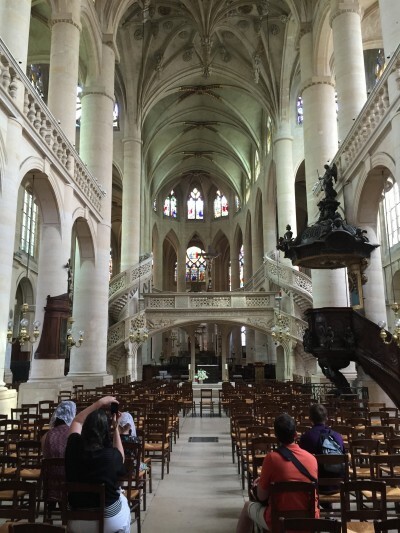 While most tourists wait for up to an hour or more to enter Notre Dame Cathedral, you’ll find an equally beautiful church only a few blocks south. Saint-Étienne-du-Mont isn’t nearly as old, but the original structure was started around 1492 – when Christopher Columbus was discovering the New World – and it’s a beautiful example of French Gothic architecture. It’s a cool, quiet place to rest if you’re visiting in the hot summer months while you take in the architecture and the elegant statutes.